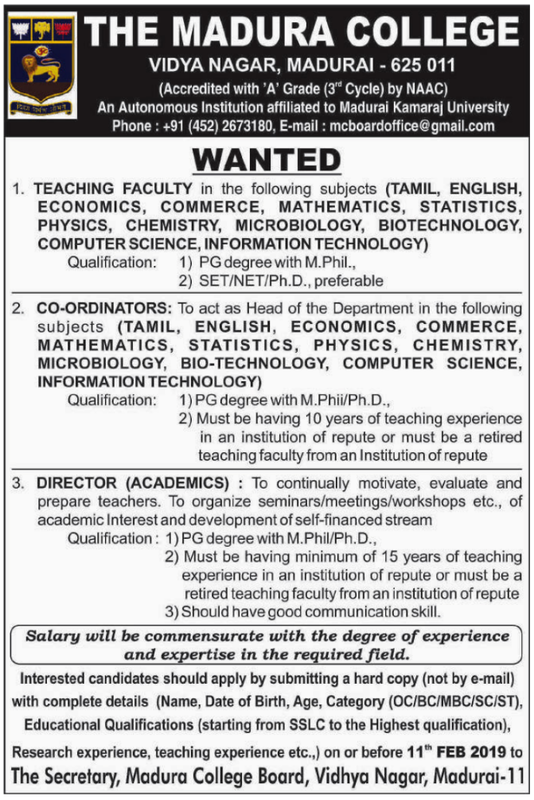 The Madura College, Madurai has advertised in the DINAMALAR newspaper for recruitment of Teaching Faculty jobs vacancies. Interested and eligible job aspirants are requested to apply on or before 11th February 2019. Check out further more details below.